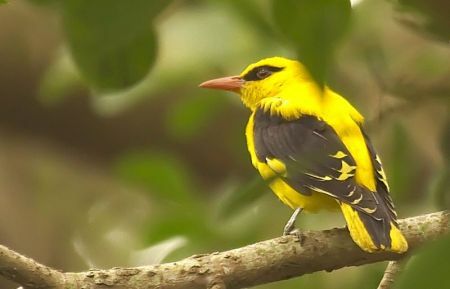 I hear a sound as I set out for my walk at 7.30, I haven’t heard in months—the warble of a golden oriole–(always an early riser). Keen to let me know he’s back, he tracks me as I go–at least that’s how it seems; it’s good to hear him again. 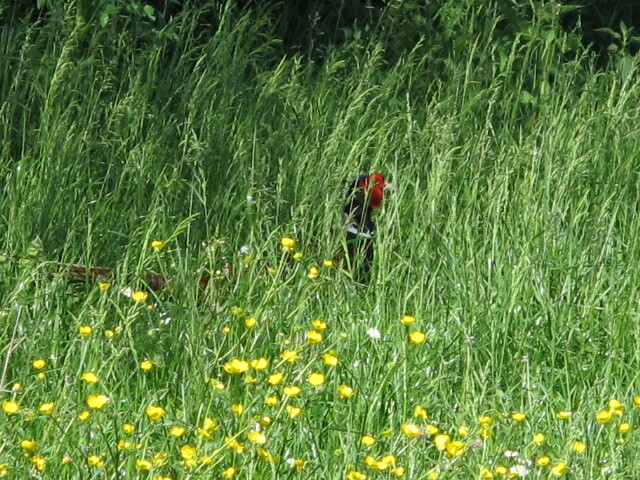 There’s a pheasant in the meadow that we think is courting Madame Arkarti, our eccentric looking hen. She seems–as yet– oblivious of this. 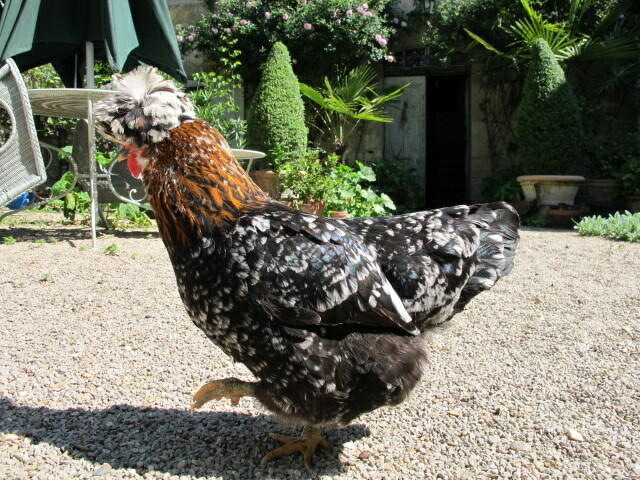 He circles the house, always at a safe distance, squawking his squawk–why else would he do this? Two hares in a field bound away into the nearest cover when I stop to look–as far as they know, I might have a gun I suppose. 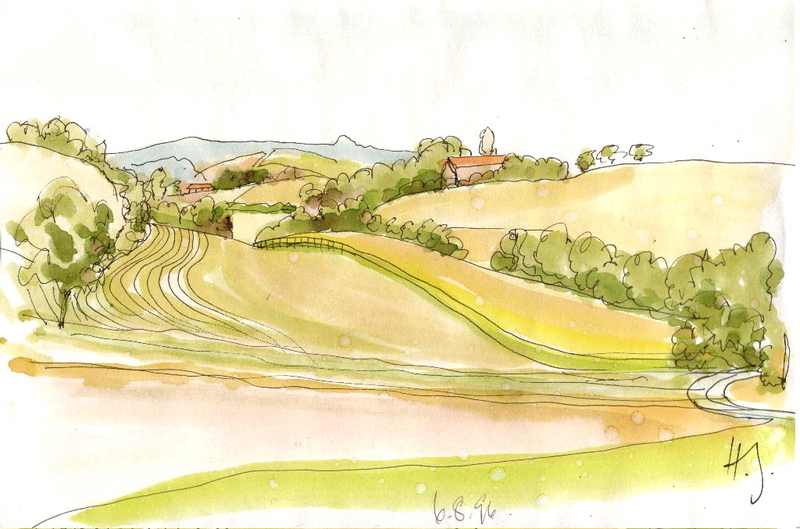 A farmer goes by on a tractor with spraying equipment on the back–off to work a nearby field. The smell as I follow reminds me of lavatory cleaner. It’s a miracle we have as much wild life as we do. 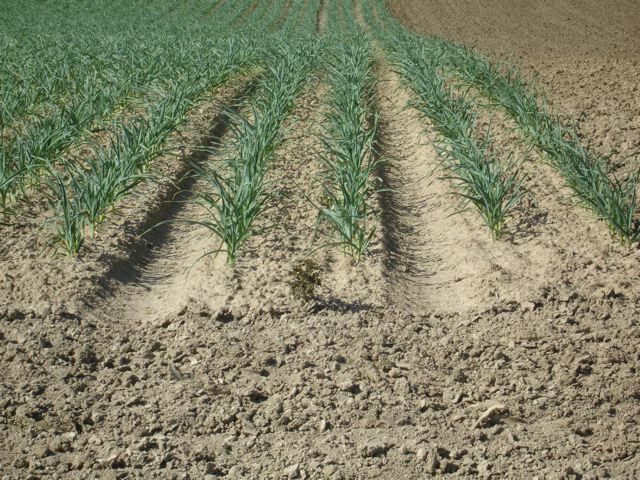 The garlic is growing fast encouraged by the recent rain. They’ll start to lift it towards the end of June ready for the garlic festival in Lautrec on the first Friday of August. Ten thousand people mill through the narrow streets and there’s free garlic soup at noon. A flash of yellow is all I’ve ever seen.